Dr. James Harris has written three golf based history books. Stanley Thompson’s most famous of his 150 golf courses aren’t located in Saskatchewan but the world-renowned course creator has left his mark on our province. Thompson, who passed away in 1953, has his fingerprints on the Tor Hill Golf Club, Murray Golf Club, Royal Regina Golf Club, and Waskesiu. The Norway, Ontario born Thompson travelled the nation while working on the railroad and began visioning golf courses. Almost 100 are in play today across North America, South America, and the Caribbean. Prince Albert historian and avid golfer Dr. James Harris knows all there is to know about the famed Thompson. He spent five years writing a book, Stanley Thompson and Icons of Canada. Thompson is a member of the Canadian Golf Hall of Fame and has been enshrined into the Canadian Sports Hall of Fame as well. He is also recognized as a ‘Person of National Historic Significance.’ Harris has played an estimated 30 of Thompson’s courses across the globe. He said Thompson had several characteristics when designing a course. “He was very adamant that his golf course designs were difficult enough to challenge the best players but still be enjoyable for those who aren’t. 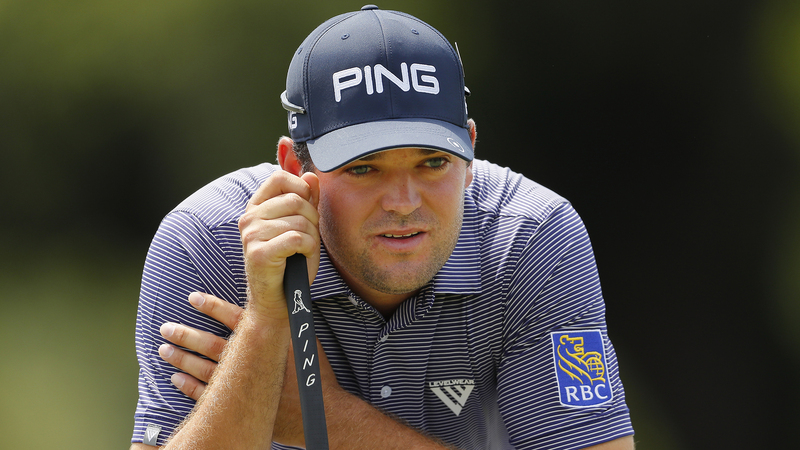 The golf courses sort of all have that special quality,” Harris said. Thompson “recognized the beauty in nature” when he created his courses. He tried to incorporate “green-to-tee” views on holes as well as elevation. The Royal Regina was redesigned by Thompson in 1925, that was his first work in Saskatchewan. Unfortunately, according to Harris flooding issues at the course have forced some alterations to his original design. The city of Regina commissioned Thompson to develop the Tor Hill and Murray courses in 1928. The Great Depression eventually stalled plans to construct both. The Tor Hill was opened in 1932, the Murray took until three decades later. Thompson’s most famous work likely lands within the Waskesiu course which opened in 1936. Harris said the Prince Albert National Park based facility never disappoints. “Golfers enjoy themselves even though they might not shoot a good score. They enjoy the day, they enjoy the experience,” he said. Harris said Thompson’s most famous courses are in the Rockies near Banff and Jasper. He was also instrumental in more than course construction. Thompson was crucial in the development of the western edge of British Columbia. Harris’ book was released in late 2018. The project was the third in line of his golf works. 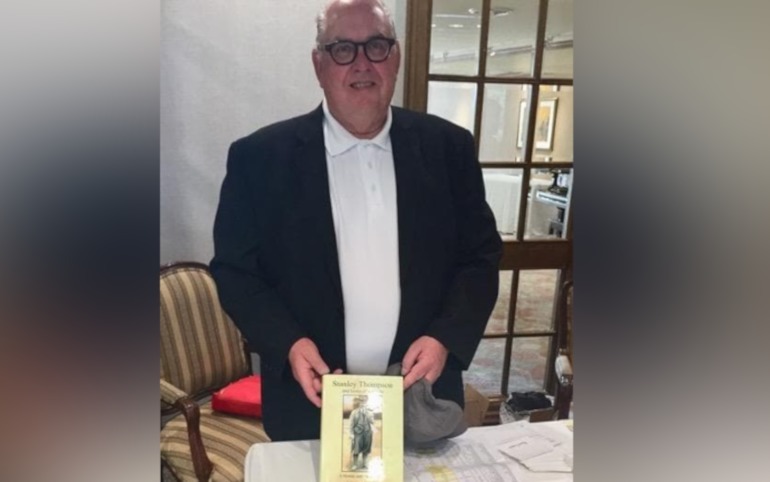 During the 100th anniversary of the Cooke Municipal Golf Course in Prince Albert Harris was asked to write that courses history. He did the same for the 75th anniversary of Waskesiu. He has since joined the Stanley Thompson Society group and spent half a decade writing the 500-plus page story. He said the first few months of publication has gone very well. “People who are not really golf nuts, let’s call them that have really enjoyed the book because of all the history involved with Stanley,” he said. Other topics such as John A. MacDonald becoming Canada’s first Prime Minister, the Great Depression, and World Wars. The book can be found in the proshops at both the Cooke and Waskesiu, Amy’s on Second in Prince Albert, McNally-Robinson in Saskatoon, and from the Stanley Thompson Society’s website.